The White Barn presents a moving drama titled, “Address Unknown,” a semi-staged reader’s theater presentation of the 1938 novella by Katherine Kressman Tayloy. One performance only, it takes place at 8 p.m. on Saturday, April 20. 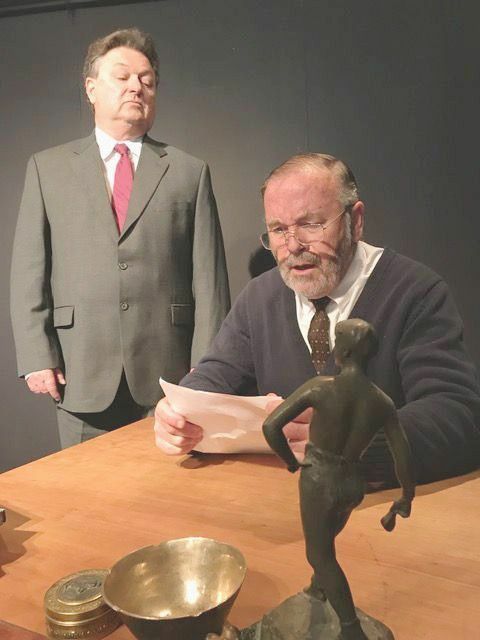 Directed by David Garden Jr. and read by Michael Waterson and John Sullivan, “Address Unknown” shows through a handful of letters how the bonds of friendship between two kindred spirits can be shattered when doctrinaire ideology prevails. Napa Valley musician Jeffrey McFarland-Johnson accompanies this story of friendship, love of country, and betrayal, on the cello. McFarland-Johnson has chosen a number of short works by German composers to underscore the storyline. Tickets for the performance are $30 and can be purchased through www.brownpapertickets.com or by calling the box office at 707-987-8225. As always, refreshments are served at intermission and programs benefit local nonprofits. The White Barn is located at 2727 Sulphur Springs Ave. in St. Helena. For additional information, visit www.thewhitebarn.org.